All Kerala Pooja Bumper- Lottery Sale started ! 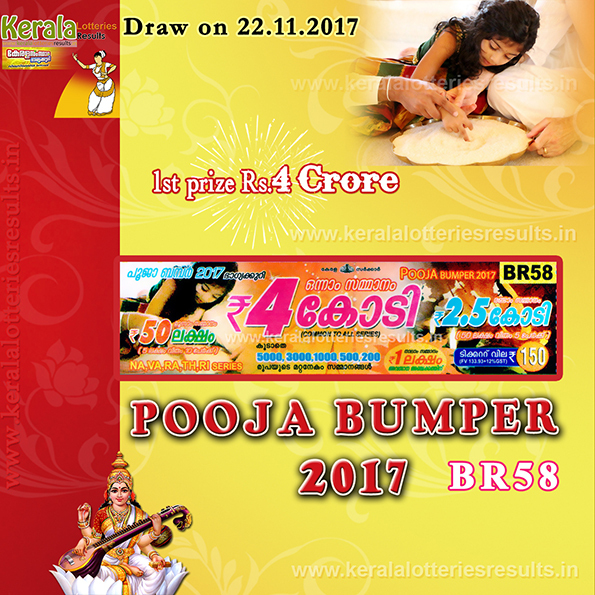 Next Bumper Lottery Pooja Bumper - 2017 (BR-58) Prize Structure All Kerala Pooja Bumper- Lottery Sale started. Pooja Bumper-2017 Ticket Cost Rs.150/- Only. 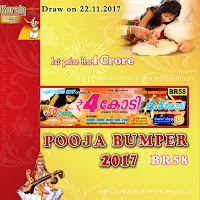 Bumper-BR58 Ticket also availlable in 5 series NA, VA, RA, TH, RI Kerala lottery result of "Pooja Bumper-2017"